Continental Tyres and the Fraunhofer Institute for Molecular Biology and Applied Ecology (IME) have been honoured at the GreenTec Awards 2014 for their co-development project "RUBIN – Industrial Emergence of Natural Rubber from Dandelion." A 60-member jury panel consisting of experts from industry, academia, trade associations, and the media considered this project to be an outstanding example of commitment to the environment and pioneering environmental technology in the category "Automobility." 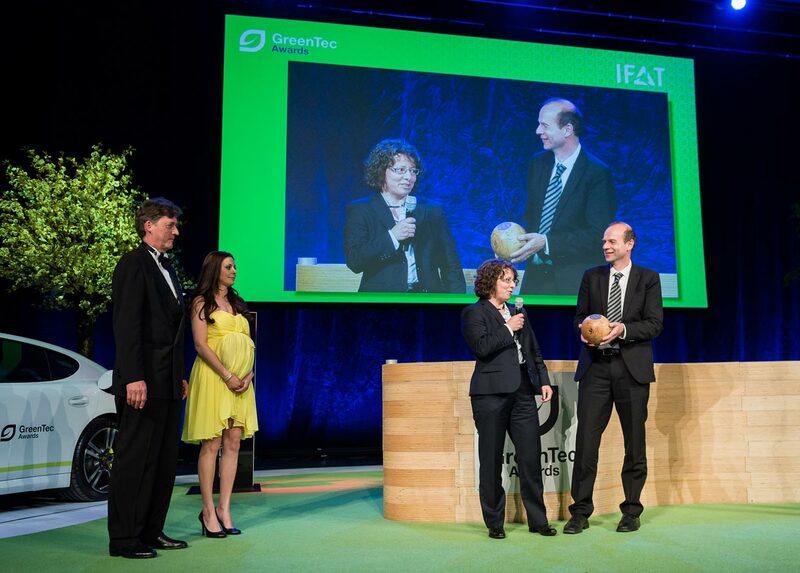 The award ceremony was held at the start of IFAT, the world's leading trade fair for environmental technology, in front of 1000 guests from the worlds of business, sport and entertainment. The GreenTec Awards, of which there are 14 different categories, are Europe's biggest environmental and business awards and were first presented in 2008. "We are very pleased to receive this award for our dandelion rubber project. Continental is pushing a very promising technology whose full potential will fully unfold in the next few years. In view of increasing levels of motorisation in growth markets such as Asia, we expect a major increase in demand for natural rubber in the future. We are convinced that the use of rubber from dandelion root will make our tyre production considerably more efficient and sustainable," said Nikolai Setzer, Member of the Executive Board of Continental and Head of Tyre Division. "In the RUBIN project we are working to find an ecologically, economically and socially viable solution to meet this growing demand," added Dr. Andreas Topp, Vice President Material and Process Development and Industrialisation Tyres at Continental. Continental and IME are currently working on the industrial use of Russian dandelions, which are said to be very rubber-rich and do not need a tropical climate in contrast to regular rubber trees. This undemanding plant can be cultivated in a number of temperate regions on what is known as "marginal land" that was previously unusable in terms of agriculture. Dr Andreas Topp added: "Dandelion rubber will shorten transport routes to our production sites and enable the growing global demand for rubber to be met without sacrificing more precious areas of rainforest. Both these factors will have a sustainably positive effect on the world's carbon footprint and on bio-diversity."